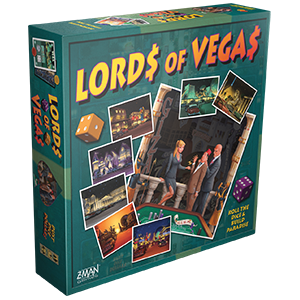 We are pleased to announce that today the former Mayfair line, Lords of Vegas, is joining our catalog! We are selling the existing Mayfair Games stock of the base game and the UP! expansion, so if you’ve been waiting to get your hands on them, we’ve got you covered. In Lords of Vegas, players are competing casino owners seeking to hit the jackpot in a gambler’s paradise. Set in the era of Las Vegas’ postwar boom, you’ll build casinos along the strip, helping the city go from its promising fledgling potential to its modern, full-fledged state. 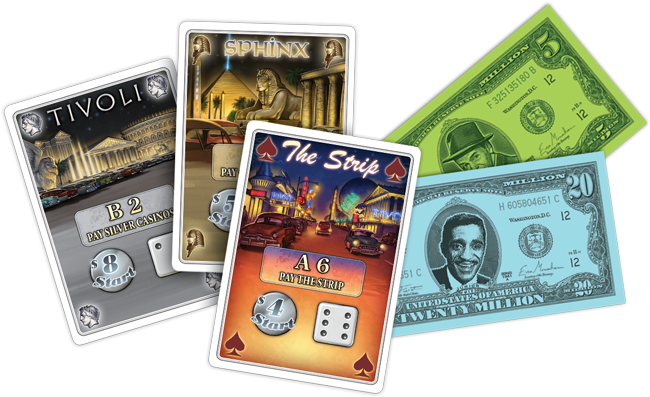 With careful planning, wise investments, and a bit of luck, you’ll end up as the reigning lord of Vegas! Also to come will be the long-anticipated Underworld expansion that had been previously announced by Mayfair, but never before released. The Underworld expansion brings characters to the game, adding a unique dynamic of agenda and persona that as yet had been unexplored. The Underworld expansion is still in development, and as the game nears its release we’ll begin showing preview articles and more updates. 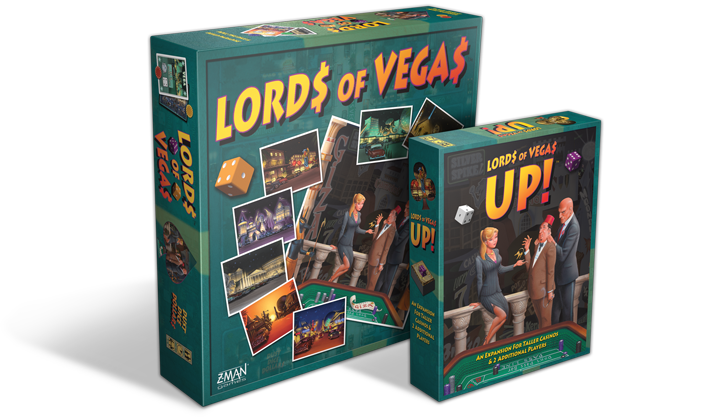 For now, be sure to pick up Lords of Vegas and the UP! expansion from our webstore or your local retailer. Will you play your cards right and take your place as the lord of Vegas?